Hill resort spread along 7 peaks at 1,200 - 1,500 meters above sea-level on the Titiwangsa mountain range, about 100km north of Kuala Lumpur. Originally it was set up as a tin mine in the 1890s by Louis James Fraser (hence the name) until the tin ran out in 1913. A few years later the area was rediscovered as British-colonial hill resort. The cooler temperatures made it popular getaway destination from the hot and humid weather for the British. To this day Fraser’s Hill still retains its colonial charm. The area is recognized destination for bird watching with over 250 species recorded. 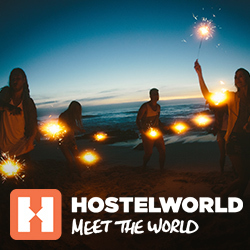 Other activities include jungle trekking, golf, horse riding, archery, boating and mountain biking. The Dutch Square, also called Red Squared because all the surrounding building painted red, next to the Melaka river is a good starting point for visiting the old part of the town. Melaka`s chinatown within the historical city has a very peaceful atmosphere with its narrow streets, especially so at night. The ruin of St.Paul′s Church is located on top of St.Paul′s Hill and was one of five churches in the fortress complex A Famosa on the hill that was built by the Portuguese in 1521. The remains of a fortress that was built by the Portuguese in the 16th Century. Also known as Porta De Santiago. Bukit Cina (englisch: Chinese Hill) is the largest chinese burial ground outside China. 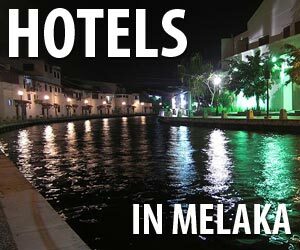 The Melaka River Cruise is 45min boat ride on Sungai Melaka with audio commentary. The cruise offers new perspectives of the historical city centre, Chinatown, Kampong Morten and other places in Melaka. Reconstruction of the Sultan′s Palace which was destroyed by a fire in 1460. Neo-Gothic Catholic church on Jalan Laksaman in the historical city center. The Church was built in 1856 by the Paris Foreign Missionary in honour of St. Francis Xavier, a prominent 16th-century Catholic missionary.